Bio-organic fertilizer or microbiological fertilizer or biofertilizer or biological fertilizer is a fertilizer that contains living microorganisms which when applied on the seed, plant surface, or land, will inhabit the rhizosphere or the inside of the plant and encourage growth with improving the supply of key nutrients from plants. Microbiologically similar fertilizers with tea compost, and can be regarded as tea compost which is engineered because only certain microorganisms which is useful for the land used. The importance of microbiological fertilizer used in crop production, because this is an aspect of agronomy and biology of inoculation which is the best way to ensure good modulation with the right strain of nitrogen-fixing bacteria to improve results safely for the environment. A nutrient fastener which is useful for plants. Some microorganisms work as the fastener N, without the help of microorganisms, plants cannot absorb nitrogen from the air. Some other roles is a phosphate solvent and potassium fastener. The activity of microorganisms helps improve soil conditions, both physically, chemically and biologically. Describes the remnants of organic matter to planting nutrients. Remove the growth regulator substance which required the plant just as some types of hormones grow. Suppressing the growth of plant parasitic organisms. The growth of microorganisms is good will compete with pathogenic organisms, so it is likely to grow and the development of smaller pathogenic organisms. Microbiological fertilizers are not ordinary fertilizers which directly increases soil fertility by adding nutrients to the soil. Microbiological Fertilizer work through microorganism activity contained in the microbiological fertilizer. Such micro-organisms who work according to their own "expertise". These microorganisms, some have the "expertise" of nitrogen-fixing from the air, some have "expertise" outlining Phosphate and Potassium which is found in the soil so that the molecule compounds Phosphate or Potassium the great thing he deciphered into Phosphate and Potassium compounds are simple, there can be absorbed by the plant. Without these microorganisms, Phosphate or Potassium compounds contained in the soil, will not be absorbed by plants. Besides that, there are microorganisms that "experts" produce growth regulators, or "expert" produces anti-pest substances. Inorganic microorganisms microbiological fertilizer restore the natural nutrient cycle of the soil and form the soil organic material. Through the use of microbiological fertilizers, healthy plants can be grown while increasing the sustainability and health of the soil. In addition, there are types of microorganisms who have the ability to decompose organic matter, so it is good to use to speed up the composting process. The types of microorganisms that can absorb heavy metals, so it is very good utilized for bioremediation process of land which is polluted by heavy metals. Organic fertilizers have a variety of variants and types. The types of organic fertilizers are distinguished by the method of manufacture, raw material, and its form. 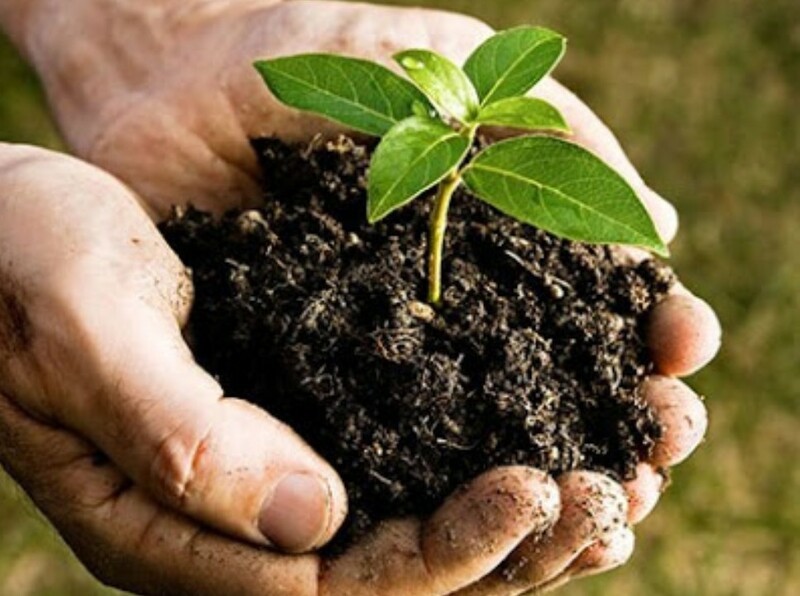 In terms of raw materials of organic fertilizer something made of forage, animal waste or a mixture of both. From the method of making organic fertilizer there are many varieties like bokashi, aerobic compost and so forth. While in the form of organic fertilizer there is a tangible liquid, powder or tablets or granules. In writing this time we will discuss how to make bio-organic fertilizer production. Please take note and understand discussion on organic fertilizer making / organic manure production‎ below. The process takes a while, about 2.5 months, but the result is as much approximately 1,000 Liter of 100 L of konsetrat organic fertilizer, can be used for thousands of hectares of plants for months. However, if the need for this fertilizer is urgent, usually farm shops there are sold this biological fertilizer in bottles at affordable prices. This simple way can be utilized by agricultural co-operatives or government agencies and non-governmental organizations also an observer of farmer welfare, or it could be used for home scale or individual by reducing the quantity, for example for ornamental plants in the yard of the house. Take a one-kilogram of soil which comes from a depth of 10-15 cm from the ground. Choose a fertile ground location and free from human interference, as well as far from the settlement. For example from plantation land well maintained or from dense forests. and 2 kg of rice bran, stirred evenly while pouring enough water, about 5 liters. Insert the mixture into the container 50 cm in diameter with a height of 30 cm. Create a 10 cm diameter hole in the middle of the mix. Cover the mixture and place it in the shade for one month. Stir the mixture once every 4 days and create new ventilation holes. The process is complete after the formation of white fiber layer on the mixed surface. A dry mixture of microorganisms mixed evenly, then taken as much as 500 grams and put in a plastic net. Mix 15 liters of molasses (a by-product of sugar cane processing) or 15 kg of liquid brown sugar into the container contains 75 liters of clean water. Insert a plastic net which contains a mixture of such microorganisms into the container. Stir evenly in the same direction. Close the container and leave for one month in a shady spot. The success indicator of this stage is the solution smells nice, if smelling means the process fails. One part solvent put in a container which has 10 parts water which has been mixed with one molasses piece. Stir uniformly in one direction. Enter the pieces leaves of vegetables such as cassava leaves or kale leaves as much as one-third container, stirred in the same direction, then closed. Leave the mixture for 15 days in a shady spot. Organic biofertilizer made with isolate certain bacteria as Bacillus megaterium this bacterium serves to dissolve the element P, Azotobacter choococum which serves to bind elements Nitrogen (N) and Bacillus mucilaginous that can dissolve elements of K. Microorganisms that can be obtained from the land of the mountains, forest lands or other sources. So our writing is about how to make bio organic fertilizer production in agriculture for plants. Hopefully our writing is this can be useful for cultivating plants.